EDC Pool Parties / EDC Week Pool Parties 2019 starting from May 15th – May 20th, 2019! 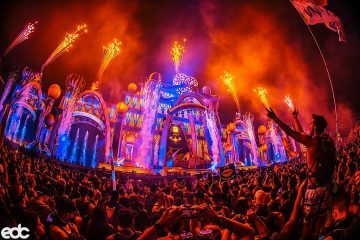 Check out the full list down below for EDC Week events 2019 and plan your summer. You can find every single pool party happening during the biggest Summer festival in North America, EDC Las Vegas, down below. EDC Pool Parties / EDC Week Pool Parties 2019 feature club events from Daylight, Wet Republic, TAO Beach, Marquee Dayclub, Drais Beachclub, Rehab, Liquid Pool Lounge, Encore Beach Club, Surrender, and more. So if you’re looking for a crazy EDC Week Pool Party, then these are the Dayclubs to attend. Kaskade, Green Velvet, Duke Dumont, Above & Beyond, 4B, Camelphat & Sonny Fodera, Armin van Buuren, Steve Aoki, Major Lazer, Alesso, Andrew Rayel, Fedde Le Grand, Sunnery James & Ryan Marciano, Basscon, Factory 93, Bassrush, and soooo many more epic events are going down during the EDC Week Pool Parties 2019.